“Quoth the raven, ‘nevermore,’” quoth Poe, quoth I. And yet, quoth as we are to armageddon by fowl (I consider Hitchcock’s The Birds prophetic), I have yet to hear a raven say “nevermore”. Merriam-Webster defines “nevermore” as “at no future time; never again” and Urban Dictionary defines said word as, and I paraphrase, a quotation from a raven in Edgar Allen Poe’s great work, The Raven, which I find rather circular. Having never read the aforementioned poem, or any poem for that matter, I gave it a brief glance over before penning this article. Now, some may claim that the raven represents grief, or depression or the realization that the meat we ate for lunch may not have been pork; however I think that the most valid interpretation — taken in the original English — is that the fabled “raven” is a literal raven, that came to Poe in the night simply to piss him off. And yet, this cannot be, as the line, “… the fowl whose fiery eyes burned into my bosom’s core” would have it. I admit I am no fowl biologist, yet I am fairly sure, having made a null hypothesis, gathered data, performed a taxing round of statistical analysis (I’m allergic) and then reevaluated my null hypothesis, that ravens do not possess laser eyes. However, if we look back into the storied literature of this country (specifically Bryan Singer’s magnum opus X-Men: Apocalypse), it may be hypothesized, or, as it were, guessed, that such a raven could be the result of a merger of the DNA of Raven (colloquially known as Mystique or Jennifer Lawrence) and Cyclops. For the answer to these thoroughly justified, yet thoroughly unoriginal, questions, we need to turn no further than otherwise esteemed director Gavin Hood’s magnum “nopus” X-Men Origins: Wolverine, wherein we see such an amalgam of “super powers” brought to life in the form of Deadpool. Again, you may ask yourself “but didn’t Tim Miller’s did you really think I would make the same joke thrice Deadpool rewrite the titular character?” No. So therefore such a creature could exist in this universe (I should explain why we live in the same reality that these movies take place in, but I won’t), and, further, by Murphy’s Law, almost certainly does. So, kids, if a raven comes tapping on your window late at night, don’t look it in the eye, it could well kill you, which I’m sure is what Poe himself would have wanted, a murder most fowl. I’m sorry, I am contractually obligated to make that pun. 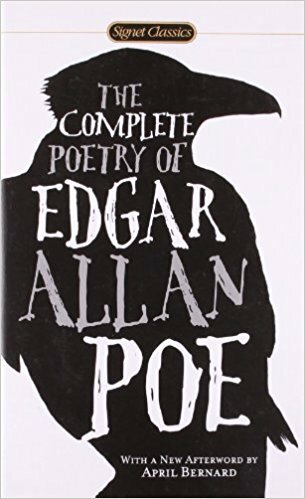 Therefore, it must be said that, although Mr. Poe’s The Raven is the defining piece of American Gothic Literature, it really is a cautionary science fiction PSA warning us of the coming tide of nocturnal laser-eyed raven hitmen. You’ve been warned.